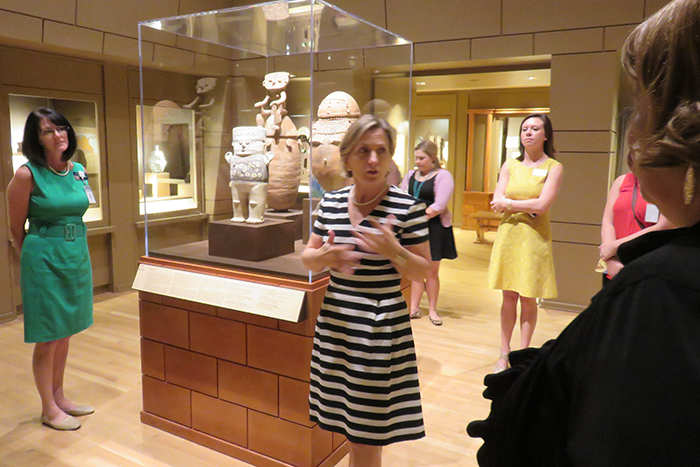 Horner leads the tour of the Carlos Museum. 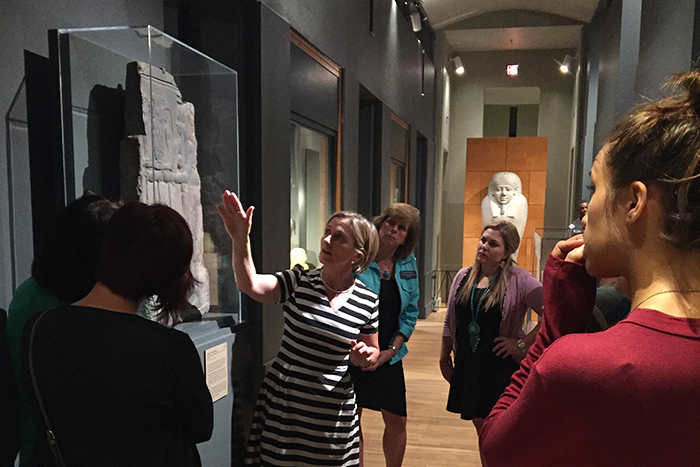 The group tours the permanent collection of the Michael C. Carlos Museum. 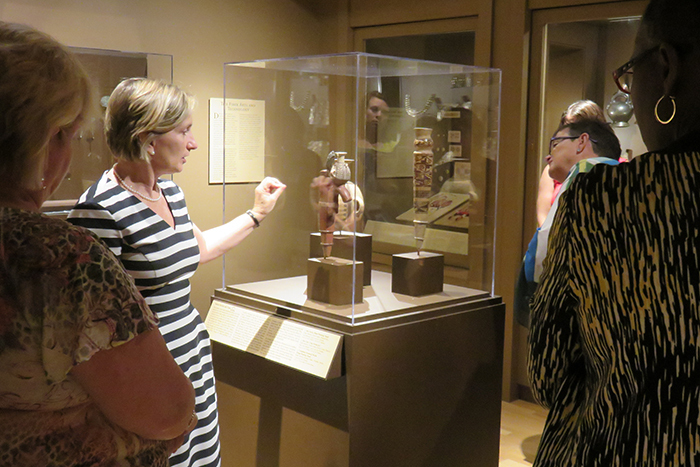 Staffers tour the Carlos Museum. Audrey Lee on left and Anna Boggs on right. 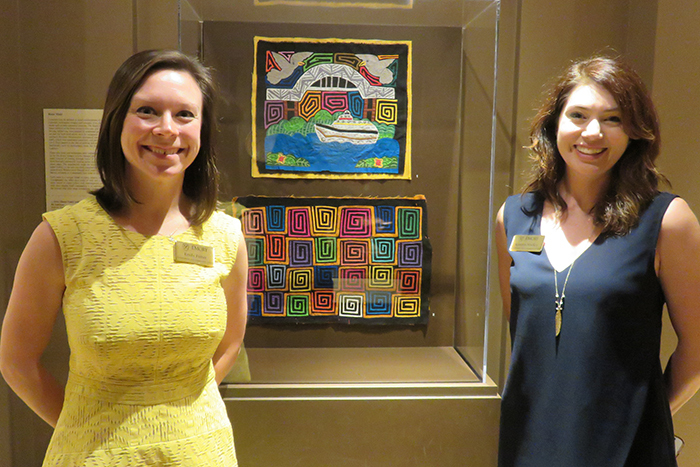 Office of Government and Community Affairs staffers, Emily Fisher and Kallarin Mackey organized the tour. 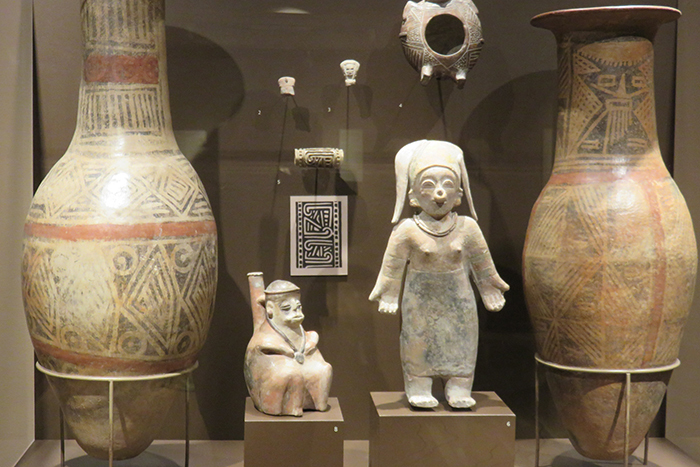 Artifacts from the permanent collection of the Michael C. Carlos Museum. 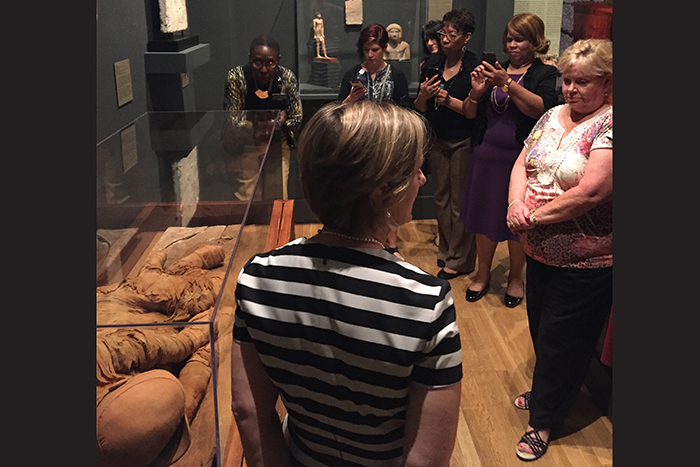 Staffers get an up close view of the Mummy. 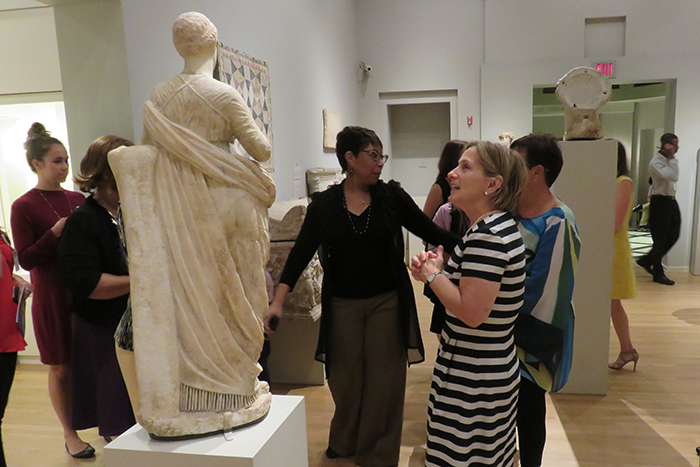 Elizabeth Horner discussing the Greek statue Muse (Terpsichore) from the Greek & Roman permanent collection. 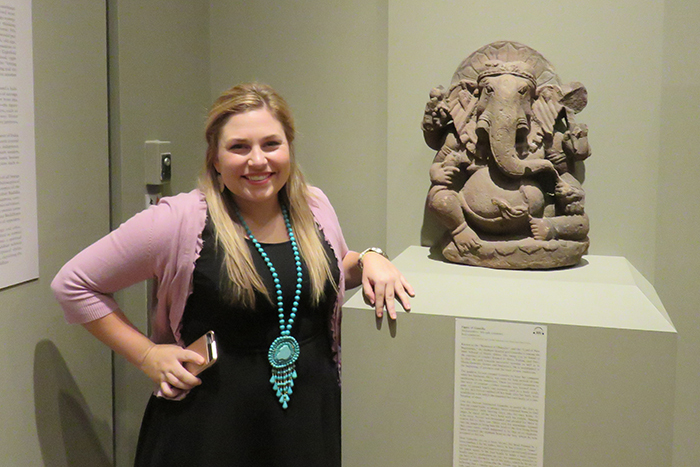 Staffer Ashton Blackwood tours the Carlos Museum. 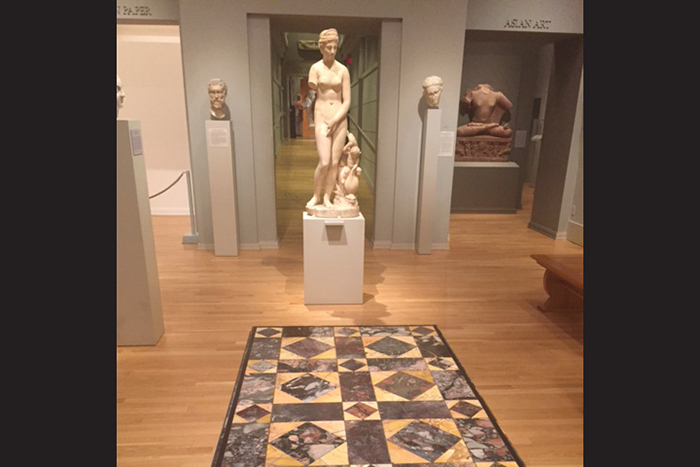 Permanent exhibit at the Michael C. Carlos Museum. 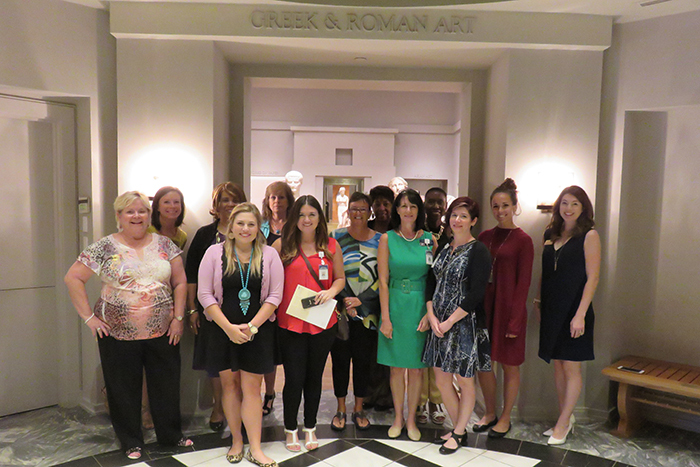 Staffers from the Georgia State Senate came to Emory on August 24 to experience some of the “Hidden Gems of Emory.” On a day filled with opportunities to experience some of the lesser-known aspects of Emory, ten administrative assistants toured the Emory Healthcare Veterans Program and the Carlos Museum. 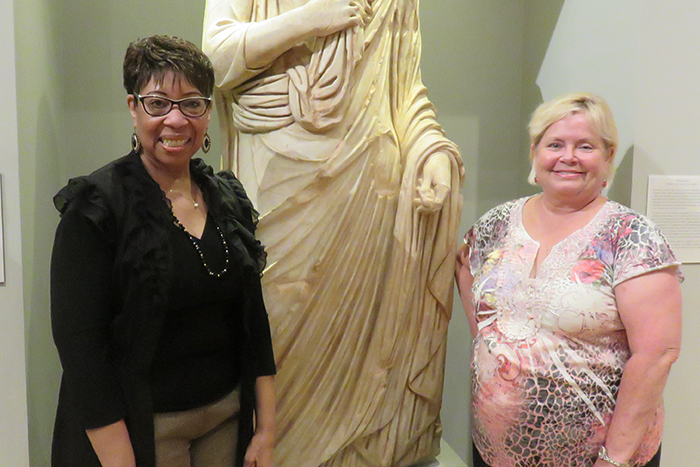 The women present for the “Hidden Gems” tour represent offices of both Democrats and Republicans, from freshman senators to veteran legislators who have served more than a decade. Administrative assistants work closely with their assigned state senators and orchestrate committee meetings. They devote their time and energy to keeping the Capitol humming during and outside of the Georgia General Assembly legislative session. Emory appreciates their dedication and public service.